Twins Clara and Bertha Bittlingmeier were born January 22, 1879. Their parents were Louis Bittlingmeier (1844-1899) and Katharina Schuhmann (1856- ). Sadly, both twins had very short lives. 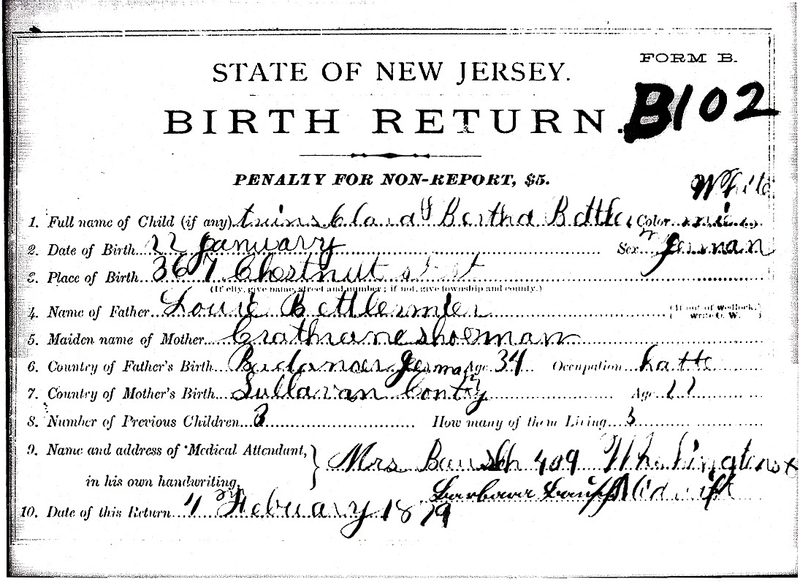 Clara died two months after her birth, on March 30, 1879, from diptheria. Bertha, whose name was mysteriously changed to Jenette, died two days after her sister on April 1, 1879, from pneumonia. We can only imagine how devastating this must have been to their parents. I know of only one other child at this time, 2-year-old Margaret Bittlingmeier.